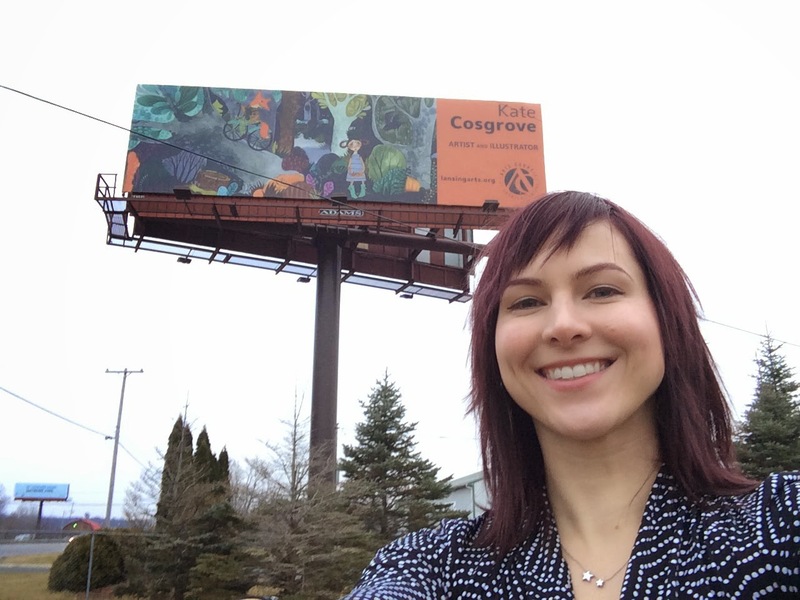 A jury of art professionals chose my humble illustration to be one of this year's Arts Council billboards. And I AM SO EXCITED! Thanks jury members, Arts Council of Greater Lansing & Adams Outdoor Advertising for making this happen. Definitely a highlight of my year! Interested in "Prophecy of the Bird" aka the art featured on this year's billboard? Customize your very own print today! Thanks for supporting full-time living artists! 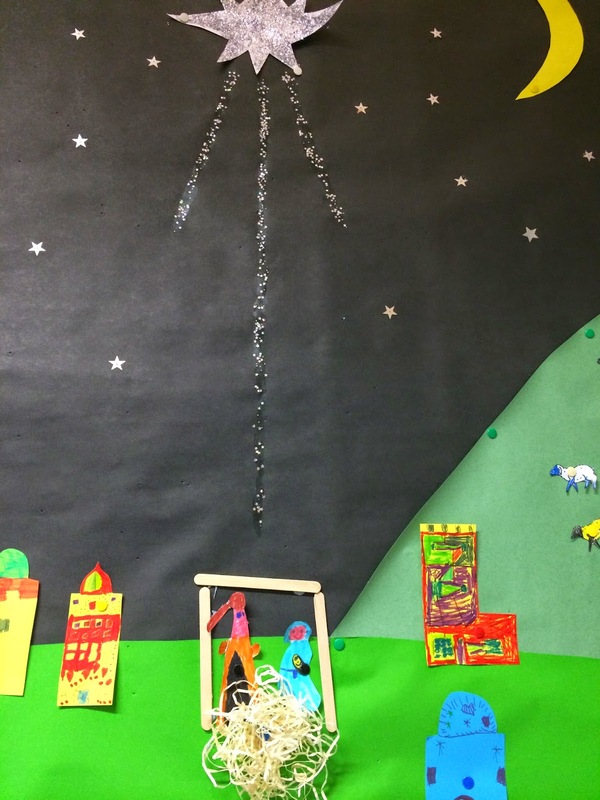 Some phenomenally talented 6 and 7 year olds who attend school in Devizes in Wiltshire, England created a beautiful paper collage version of my Mini Nativity. 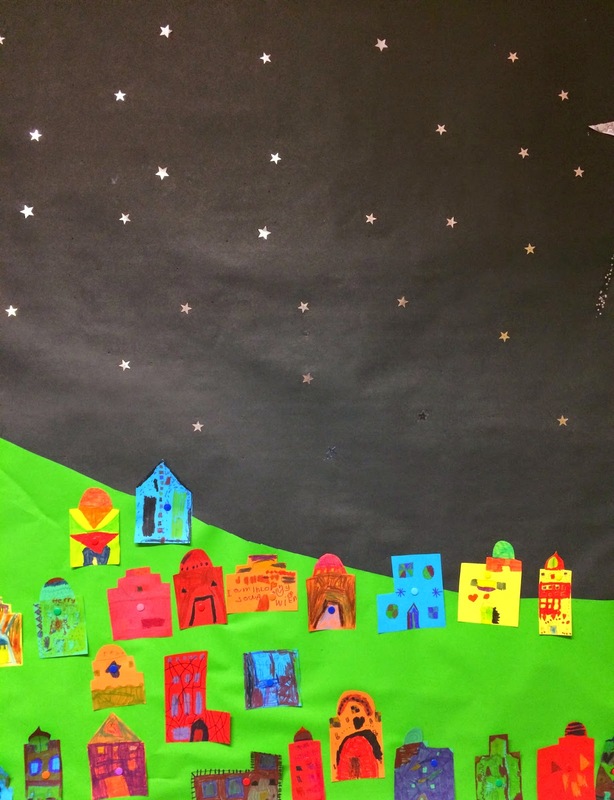 The children in Miss Handley's year 2 class referenced my piece and then designed their version of shepherds, houses, sheep and kings. 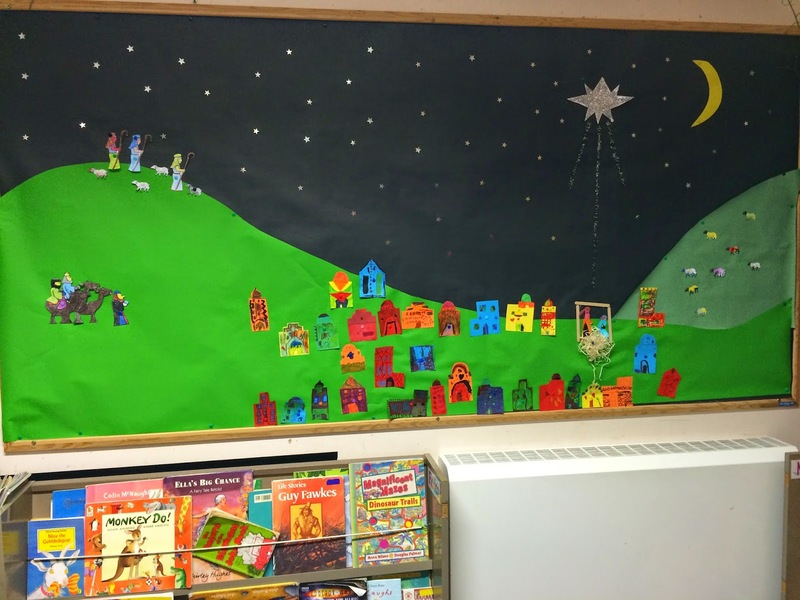 This gorgeous mural is now on display in their classroom! So much hard work and collaboration went into creating such a lovely piece of art! I hope they are proud of themselves and continue to be creative. Thank you Miss Handley for telling me about your students project! 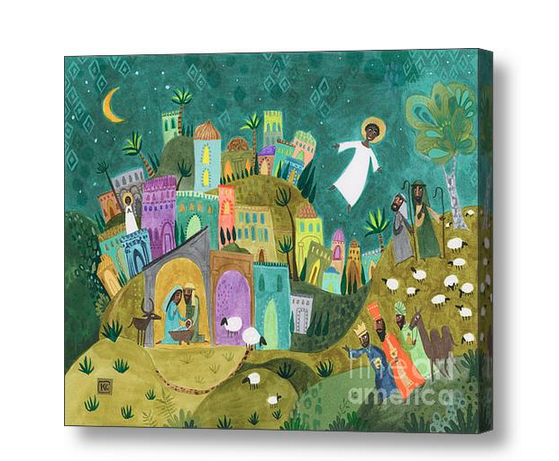 Lansing Art Gallery just informed me that the original for "Nativity Three" has sold! Fortunately, you can still customize your own art print for wall or mail. Whew! I was stressed for a minute... were you? 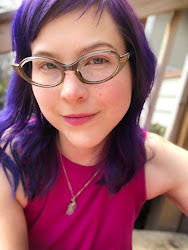 **Also, if you are a church or events person, contact me today for more details on licensing my art for your celebration's bulletin or newsletter! 1. Bongos are mad cool. 2. 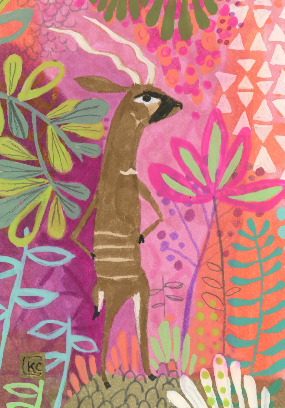 My ACEO art has never featured a bongo. To correct this oversight immediately I give you "One Cool Bongo." Bid now! 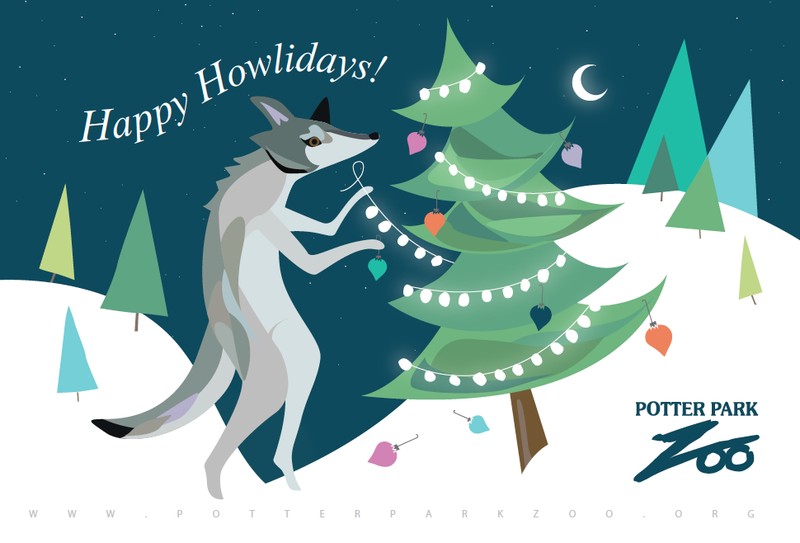 A little holiday or as I punned it howliday cheer from my friends at Potter Park Zoo (and me). If you haven't visited their wolves in the fur, I highly recommend it. And since they are native to cold temps, they will still want visitors over the next wintery months.